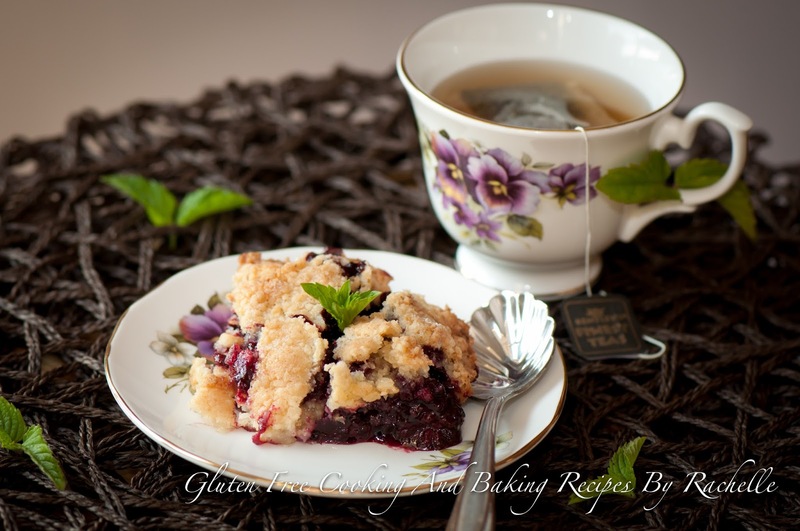 Do you have an over abundance of blackberries and have no idea what to do with them, well look no further because this gluten-free dairy-free blackberry cobbler is absolutely devine. Served with fresh whipping cream or vanilla ice cream (for those who can have dairy) is just an added bonus. This recipe has come from my former my mother in law who was an amazing cook and baker. In a medium sized bowl add blackberries, 1/2 cup sugar, 1 tablespoon flour stir until ingredients are combine and there is no longer any sugar or flour on the bottom of your bowl, set aside. In another medium bowl add 1 cup sugar, 1 cup flour, 1 teaspoon baking powder, lightly stir with a fork to combine, once combined make a well in the center of your bowl and add egg, stir until your mixture becomes small crumbs. Place blackberry mixture in a ungreased 11x7x1.5 inch pan, after adding blackberry mixture put on crumb topping, when you have your crumb topping evenly spread over the blackberries drizzle the melted butter on top of crumb mixture and bake for 45-55 minutes or until golden brown. One of my favorite cobbler! Deliciousness! I nervously made this for the first time for Thanksgiving. It turned out great and everyone loved it! I looked through dozens of recipes on the Internet and I'm so glad I settled on this one. It's so nice to find a decent gluten-free recipe. Thanks (and Yum!) from my family and me!